Whether you are window shopping at the mall or pinning outfit inspiration on Pinterest, there are obvious signs of change in the fashion industry aimed at making a designer’s latest collection relatable to the ever-evolving consumer. Phrases du jour range from “boho chic” and “vintage glam” to “street smart” and “rocker vibe.” And while these labels certainly have merit and conjure images of stylish women donning any number of trendy outfits, it can be daunting to incorporate outfits like these into our wardrobes,. How refreshing would it be to have pieces in your wardrobe to slip into without feeling as though you have to cater to a particular fashion tribe? 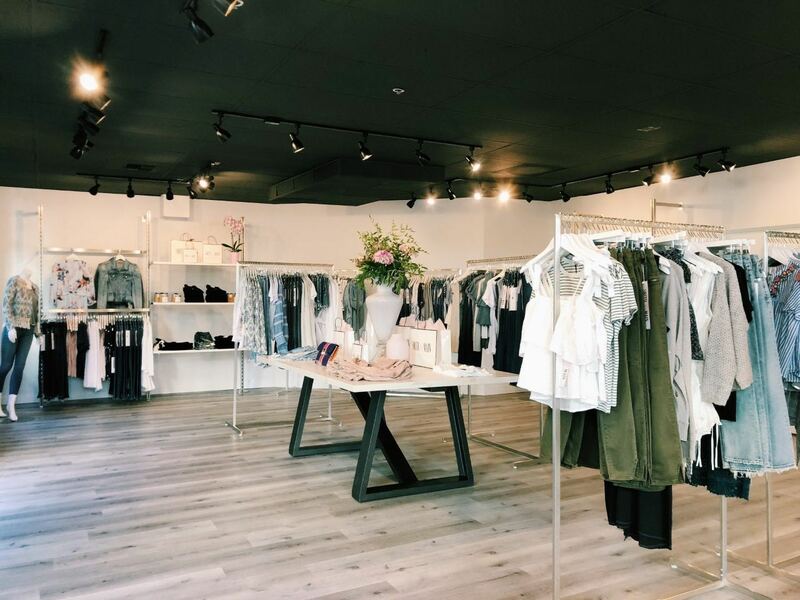 A visit to Smith and Main, a new boutique on a cozy street in the Old Bellevue neighborhood, might be the cure to finding those timeless pieces your closet is lacking. Owner Chanel Smith expertly leverages more than eight years of retail experience in New York City and a bachelor's degree in Retail Merchandising and Product Development to curate racks that feature an array of on trend merchandise that people can wear every day. “At Smith & Main, we aim to provide each client with the best possible shopping experience and a wardrobe that enhances their lifestyle by inspiring confidence and reflecting the best version of themselves,” says Smith. A preview of Smith & Main’s fall lineup has us making room on our shelves. In particular, two standouts include a burnt orange wrap dress (above) and a slate blue dress with a white Chrysanthemum pattern (below), both with slender bishop sleeves. These pieces embody a feeling that Smith playfully refers to as "American Frontierland" -- think Little House on the Prairie meets the Wild West. Also calling our name is a black slender culotte pant and a heather grey ribbed sweater with white trim and flared bell sleeve. These pieces are starting to trickle in now, but most will be available toward late September, just in time for autumn in Seattle. If you can’t wait until then (and we wouldn’t blame you if you couldn’t) Smith & Main stocks designs that have become customer favorites in the short time since opening this past summer. Vegan leather motorcycle jackets in “Ferrari Red” (above) and “Raven” by Pistola retail at a cool $148, and this black and white polka dot Hunter Bell top could be paired with any number of ensembles. You can find outfit inspiration by following Smith & Main on Instagram (@shopsmithandmain) or by visiting Monday through Saturday between 10 a.m. - 6 p.m. and Sundays between 12 and 5 p.m. at 37 103rd Avenue NE, Suite C., Bellevue.